Lasergame is suitable for people from 6 years old. 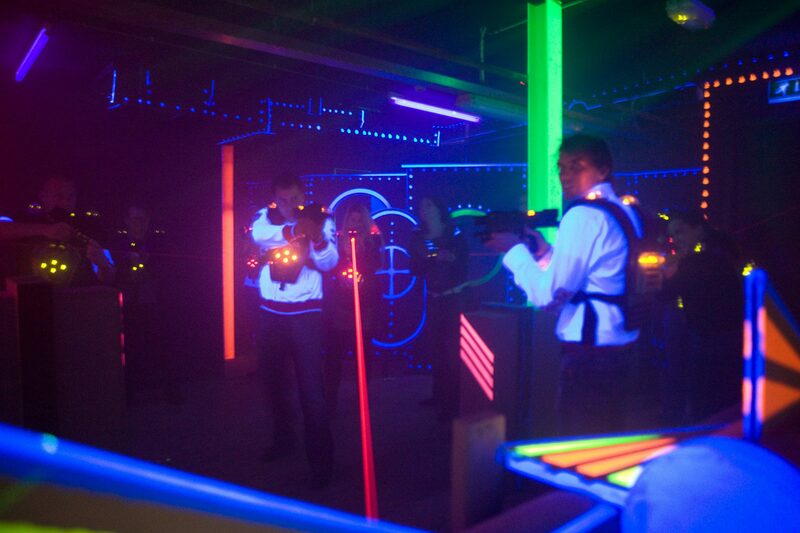 Lasergamen is suitable for both small and large groups. First of all, we will explain the game. You will learn the rules of the game, how the laser gun works and how the suit works. After the explanation you will start playing your first lasergame session (15 minutes). Not finished yet? You can join the second session and try to improve your high score. One lasergame sessions takes 20 minutes, inclusive of 5 minutes explanation.